Andrew J. Barovick P.C. is an experienced and prominent medical malpractice law firm with offices in Manhattan and Westchester, serving clients throughout the New York City region. 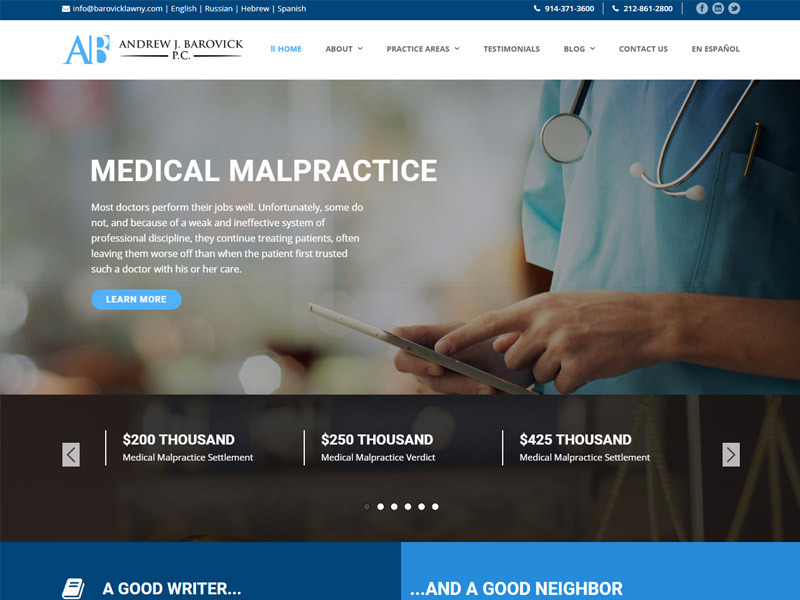 Mr. Barovick is the principal author of the New York Medical Malpractice Law Blog, and has won significant medical malpractice judgments and settlements for his clients. Internet Presence LLC is developing the firm’s website, managing its social media, creating new online content for search engines, performing reputation management, and managing online reviews. Visit Andrew J. Barovick P.C.